The scent of saffron, the sound of flamenco, the sights of Spanish culture and a spirited chef creating classic dishes can now be found together in one captivating program. Made in Spain is a series exploring the culinary and cultural riches of Spain and is hosted by Chef José Andrés, creator of multiple celebrated Washington, D.C.-based restaurants, including Jaleo and minibar by josé andrés. Made in Spain highlights the extraordinary cooking traditions of a country whose food and wine is capturing the world's imagination. In every episode, José brings the exciting flavors of his native Spain to the American audience with easy and informative recipes created in his Washington, DC kitchen using products found here in the U.S.
Each cooking segment is woven into a gastronomic and cultural tour of one of Spain's 17 vibrant regions, where José introduces the viewer to many of Spain's great cheese makers, wine makers and restaurateurs. Traveling throughout Spain, José takes the viewer to the source and inspiration of the dishes he prepares back in his kitchen, demonstrating that the flavors made in Spain can be created right here at home. 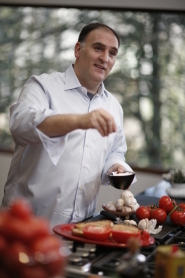 First introduced to public television audiences in Chef's Story, Bittman Takes on America's Chefs and Diary of a Foodie, José Andrés' exuberance, sense of humor and prodigious culinary talents make him the perfect emissary of the cuisine that has come to be regarded as among the most innovative in the world. José's hit Spanish cooking show, Vamos a Cocinar, and his passion for Spanish flavors already have accorded him rock-star status in Spain. The release of Made in Spain heralds his arrival as America's newest PBS culinary star. Made in Spain travels back and forth between José's two homes: Washington DC and Spain. 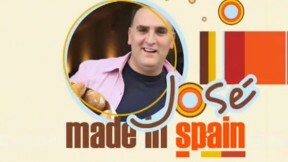 Each episode visits treasured Spanish locations, is infused with the uniqueness of José's magic and is sprinkled with ingredients rooted in Spanish cuisine. 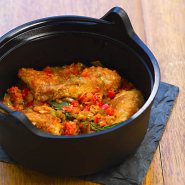 We discover great fish dishes and aromatic stews in Basque Country. In Madrid, we find the sweet spots of the city. In Valencia, we learn why the secret to unforgettable paella is all in the rice. We also find out that Andalucia is not only the home of sherry but the birthplace of tapas. In America, José seduces us with his inventive recipes and special tips. Every program personifies José's mantra: "Simple ingredients, treated with respect...put them together and you will always have a great dish." Following José's easy instructions in the kitchen means that viewers will be able to whip up his creations in their own homes. Made in Spain is a production of ThinkFoodGroup and Full Plate Media. © 2008 José Andrés Productions and Full Plate Media. José Andrés photo courtesy of Pablo de Loy. Classic dish photo courtesy of Thomas Schauer.